Findeln, probably the sunniest hamlet in the vicinity of Zermatt, must have had a chapel from early on. It stands at an altitude of about 2,100 m. The documented field name of “zer altu Kapällu” a little further up the slope indicates that this was the case. 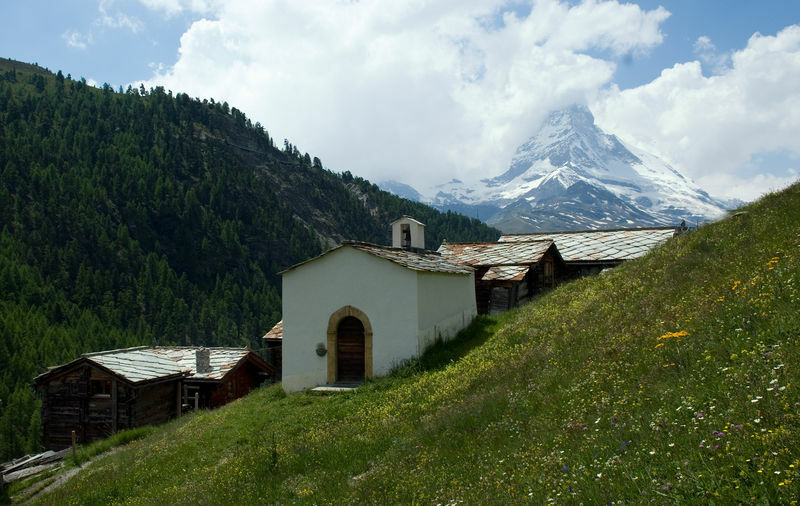 In the days when agriculture was still the main source of income, the inhabitants of Zermatt would make a pilgrimage to Findeln after longer periods of rain during the hay harvesting season to pray for sunshine, the last time being in 1954. Today’s chapel in the lower part of Findeln, “ze Gasse”, was built in either 1691 or 1697 – the latter year is inscribed on the tuff arch that frames the entrance doors – as a simple block structure with a recessed choir. It is dedicated to St James the Elder. It first appears in records as a simple prayer house without an altar. During the visitation by the bishop in 1765, the order was given to renovate the prayer house, which had been almost totally destroyed by an earthquake, and to equip it with a suitable altar. 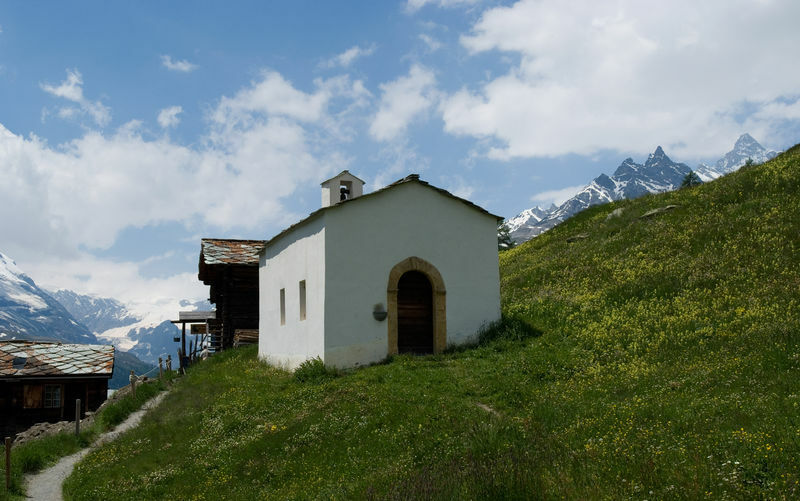 The baroque style conquered the Upper Valais in the 17th century, transforming the appearance of churches and chapels. The parish church, too, had to remove Gothic features. In 1772, presumably – the year can be found above the choir arch – the parish church’s altar to the Mother of God came to Findeln. This late-Gothic winged altarpiece from the beginning of the 16th century is a piece of artistic history unique in the Upper Valais. 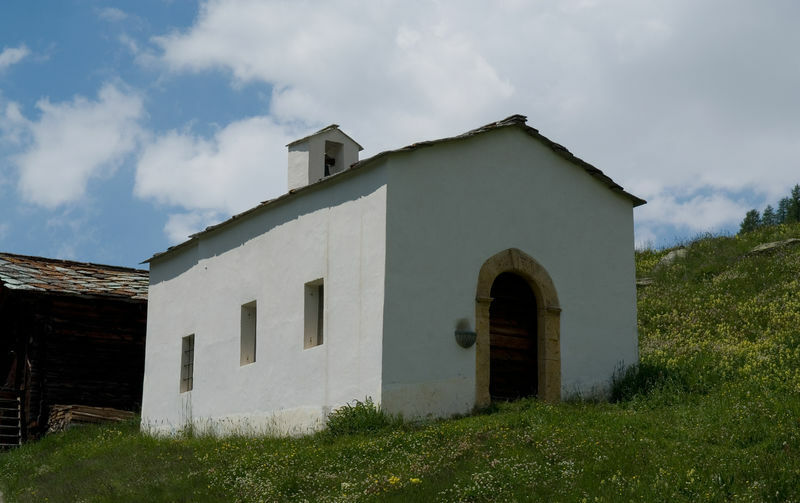 As a result, the chapel is listed in the Swiss Inventory of Cultural Property of Regional Significance.